LEXINGTON, Ky., (Sept. 16, 2010) – Lexington played a significant role in the early history of horse racing and the equine industry, but few people are aware of the African-American jockeys, trainers, groomsmen and handlers who worked diligently and successfully to shape the city’s and state’s horse heritage. University of Kentucky soil scientist Mark Coyne and David Melanson, in the UK Office of University Relations, are working to bring this long-forgotten history to light through two community-based projects on the city’s East End. Through the Young Equestrian Scholars Initiative, Coyne, a professor of soil biology in the UK College of Agriculture, hopes to raise public awareness of the historical importance of the individuals buried at Lexington’s African Cemetery No. 2. The UK Commonwealth Collaborative project began in April and will go through June 2011. Commonwealth Collaboratives partner UK researchers with representatives from all sectors of a community, including industry, government, K-12 education and health care, to offer solutions to problems that have long plagued the state and stymied economic and cultural progress. Located on East Seventh Street, the cemetery was built in 1869 by former slaves, who were members of the Union Benevolent Society, No. 2. It is the final resting place of at least 80 known individuals who held a prominent place in the early years of thoroughbred racing. Some of the notable people interred there include Oliver Lewis, winning jockey of the first Kentucky Derby; James “Soup” Perkins, who is tied as the youngest winning jockey of the Kentucky Derby, and Abraham “Abe” Perry, trainer of the winner of the 1885 Kentucky, Tennessee and Coney Island derbies. Isaac Murphy, who rode three Kentucky Derby winners and is the jockey with the all-time highest winning percentage, was originally buried there. His remains are now located at the Kentucky Horse Park. 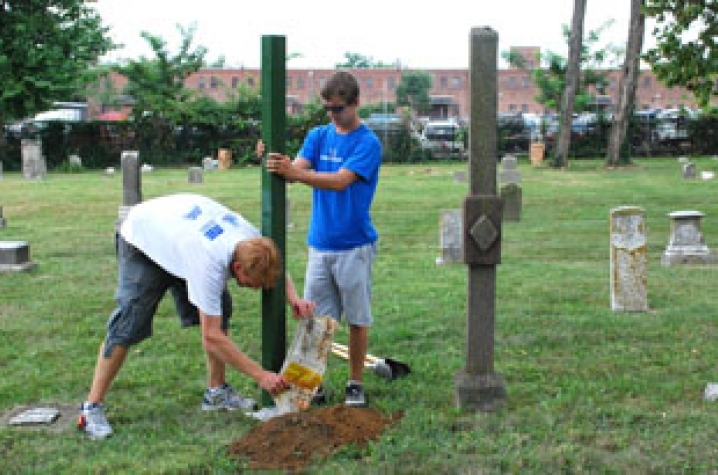 Recently during UK Fusion, UK student volunteers spent the day working to spruce up the cemetery and install markers at gravesites of known individuals in the equestrian industry. During the school year, UK students will mentor K-12 students in Lexington as they gather information from historical documents on these individuals. 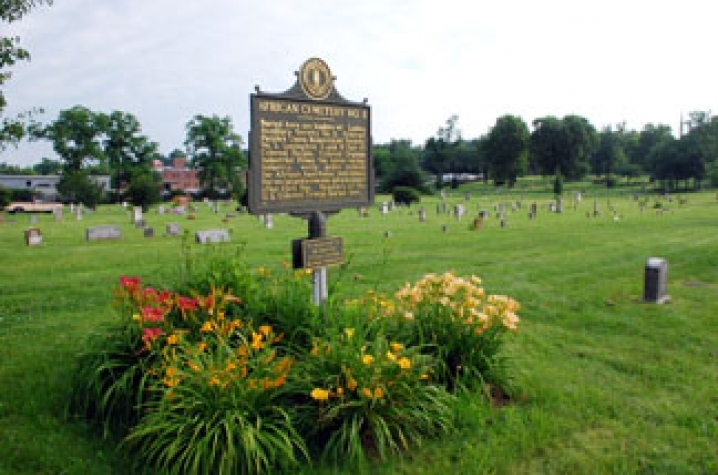 This information will be placed on the markers with the goal of having a self-guided walking tour through the cemetery. Some students may choose to display their findings in other ways such as creating artwork or making public presentations. “The more we do to bring those stories to light, the better reflection on Lexington, the better reflection on this community in Lexington, of the significance that we’ve had on a national basis for both the equine industry and history in general,” Coyne said. While the project begins with individuals in the equine industry, it doesn’t end there. Coyne hopes the students are also able to find information on some of the other historically important individuals buried at the cemetery including Civil War veterans, buffalo soldiers and civil rights pioneers. Some markers are already in place, and cemetery brochures are available at UK and the Lexington Convention and Visitors Bureau for those interested in learning more and touring the cemetery. UK also has been involved in building a new park to recognize Murphy and other African-American members of Kentucky’s famed equine industry. The Isaac Murphy Memorial Art Garden is being constructed in Lexington’s East End neighborhood where Murphy lived and raced.